Building wealth and making money are two areas which I feel pretty strong about. However, sometimes it can feel like the process of generating income and creating wealth can begin to control you, instead of you controlling it. To put things back into perspective and to avoid letting the process of making money and creating wealth control or consume us, and remember the real purpose of money and wealth, and where it does and doesn’t belong in our lives – we can always turn to the wise for advise by absorbing their words of wisdom. So I decided to share some of my favorite inspirational quotes about money and wealth. These are some of the best quotes which have been provided to us by some of the smartest men in history. And, whenever I read these quotes listed below, they always seem to lighten my mood and put things back into perspective for me. I hope you enjoy and benefit from reading these quotes about wealth and money as much I do. Enjoy! 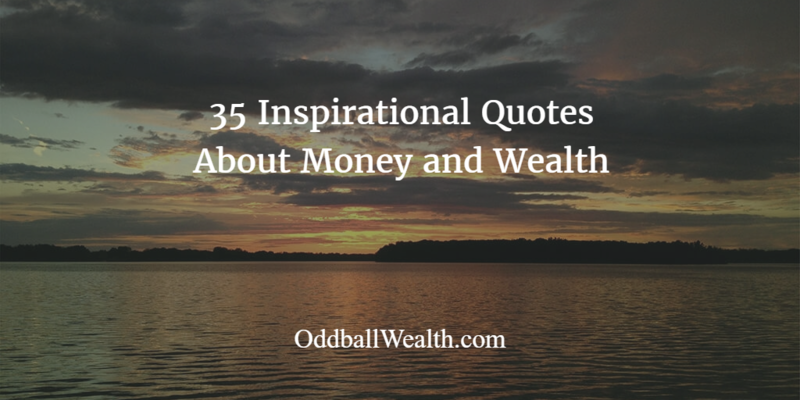 Do you know of any other good inspirational quotes about money and wealth that are not listed on here? Let us know by leaving a comment below! The post may contain affiliate links. To learn more please read the disclosure policy.